Santiago de Chile, Chile - Thursday October 15th, 2018. A bucket list item to check off! 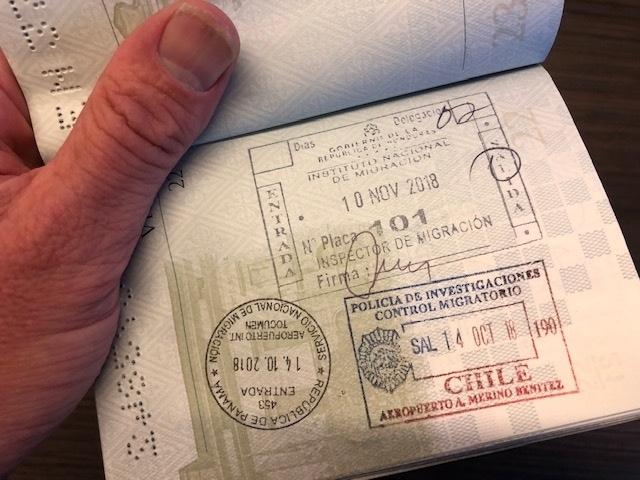 I am not sure how long I have been talking about making it to Chile and, although this trip won’t be long enough to make it to Valparaiso or Punta Arenas to go visit and drink some great Chilean wine or taste some Chilean Pisco or even following in the footsteps of Bruce Chatwin in Patagonia, I got the stamp in my passport. 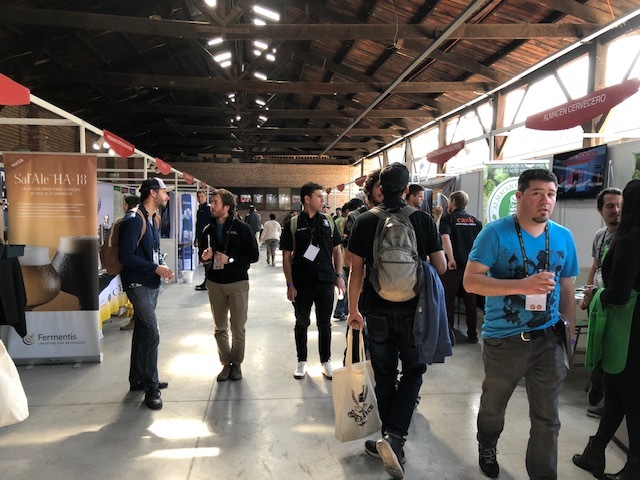 Ricardo Solis from the Instituto Cervezas invited me to join his conference; the Copa Cervezas from October 10-15, 2018 in a pretty cool location - IF Blanco in Recoleta, a suburb of Santiago de Chile. The first person I run into at the conference is Franz Steinle, from Handtmann, the “Pope of Piping” as we call him in the craft beer scene. 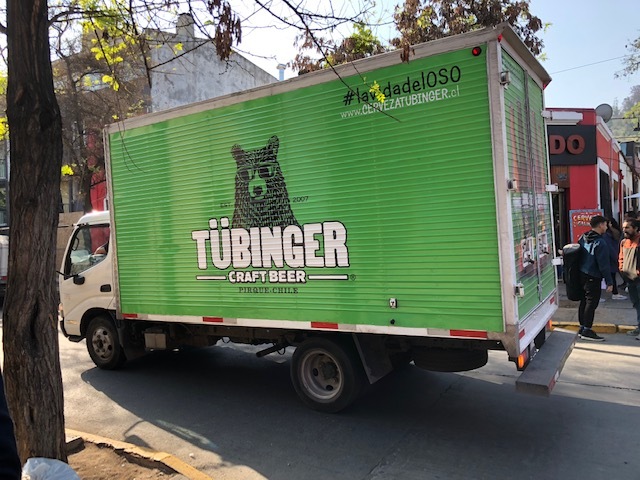 It is great that companies like Handtmann support the emerging brewing scene as we all own the brand "craft beer" and we all need to strive to brew the best beer. The program covered four days, with a day of brewery visits and two days of judging prior to the actual conference. Three days filled with talks and discussions and …. craft beer. The talks that I really liked and that shared some interesting opinions and information were for me from Todd Haag from 3 Floyds on Thursday: “ Envejecimineto en barrica desde Three Floyds Brewery”. The slides with the different wood flavour profiles were very good. Todd, we are looking forward to see the flavor wheels, will be quite interesting. On Friday, Luc de Raedemaeker had a great summary talk about “ El universe de las cervezas belgas”. I am not sure how you start on that and I even grew up in Belgium. Thanks Luc. Inspiring was also the talk from Jose Tomas Infante from Cerveceria Kross. 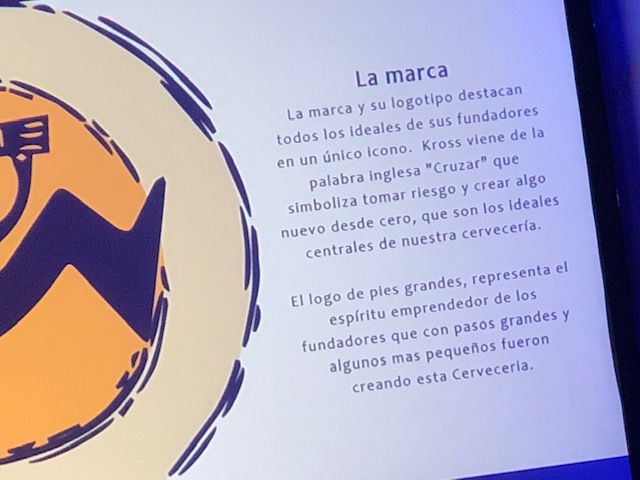 It was nice to see somebody present a talk and honestly state that his brewery is a better place now thanks to the investment of some bigger guys, his partners now; Concha Y Toro and Igneous. I also liked that he made the point of how important all our brewing employees are, from the delivery drivers to the brewers and how they are really the backbone from a brewery. The final panel discussion was mine to manage; “ Craft Beer; Revolucion a nivel mundial? ” with panelists: Stephen Beaumont (Canada), Luc de Raedemaker (Belgium) and Lorenze Dabove (Italy), the ultimate Cantillion lover. I have been working now almost 25 years in craft and although I am asked every year if it is here to stay - Yes it is! – there are probably as many opinions as there are craft brewers by now. Stephen made a great point when asked a question about drinking local –Yes, please do but only GOOD local beer! Luc pointed out that not all investment is bad with the story about the DeKoninck brewery in Antwerp – YES, the investment from the Moortgat brewery was a good thing for the DeKoninck brewery and all of us people who love to drink a “Bolleke” . Last there is Lorenzo, what can I say, he is and always will be Lorenzo, awesome, so I had to turn off his microphone. There were many more great questions from the audience. I have to say that if we all put as much effort in brewing the best beer as we do in discussing the topic of independence I think there would be more good, balanced, worthy and awesome craft beer around the world. Next year I am sure Ricardo and his team will have an interesting technical program again for all of us brewers and maybe an even bigger competition - this year with 1,685 entries in the beer competition from about 25 countries (2/3 of all entries came from Brasil & Argentina combined) it was already impressive.